David Blaine will take his magic on the road for his first ever UK & Ireland tour this summer. The magician, illusionist, & stunt artist has revolutionised modern magic and mesmerized audiences around the world unlike any performer in history. His unique one-man show promises to be an unforgettable interactive experience that will both shock and amaze those lucky enough to get their hands on a ticket. Blaine has performed for U.S Presidents including Barack Obama, Bill Clinton, George W. Bush as well as other international leaders and prominent figures such as Bill Gates, Stephen Hawking and Muhammad Ali. With his upcoming performances set to combine his world-famous sleight of hand with death-defying endurance acts, its sure to be a show you will not want to miss! Blaine was buried alive in a clear coffin in New York City for one week. He stood inside a six-ton block of ice for 63 hours with no food or sleep. In 2002, he spent 36 hours standing atop a 30 meter pillar without a safety net. He survived for 73 hours with over one million volts of electricity discharged at him continuously from Tesla coils. Blaine endured 44 days of starvation inside a glass box suspended by a crane near the River Thames in London. Bonus Fact! 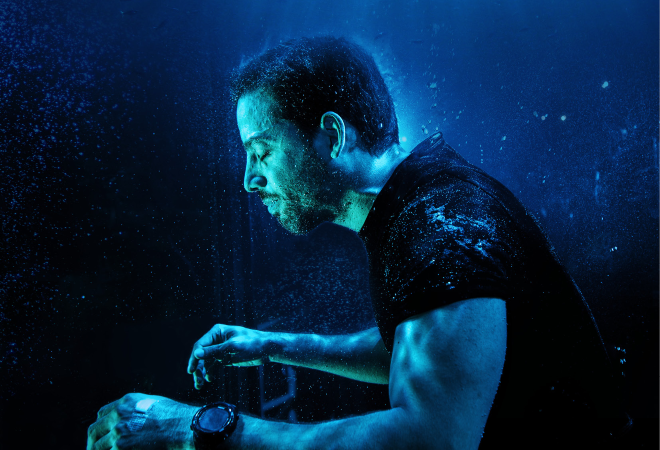 In 2006, David Blaine lived underwater for a week in a sphere shaped aquarium at Lincoln Centre in New York City.